A holiday in Barbian has many different facets and is therefore a unique experience at any time of the year. 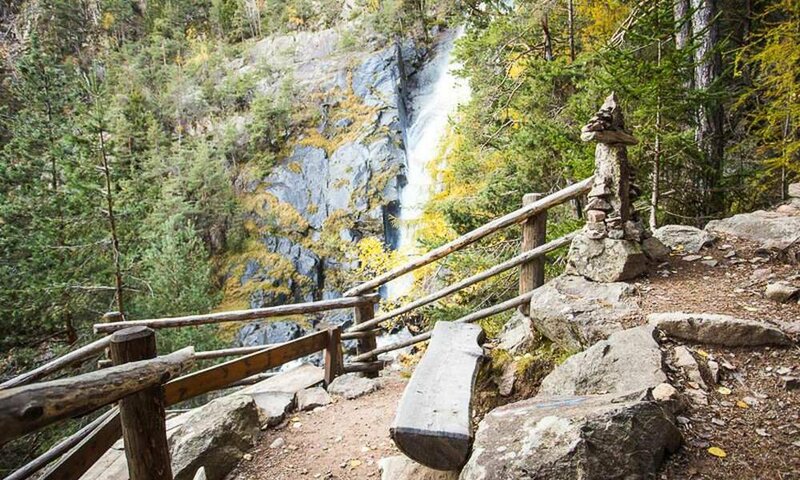 Explore the traditional cultural landscape, walk by the imposing porphyry rocks or the famous waterfalls. 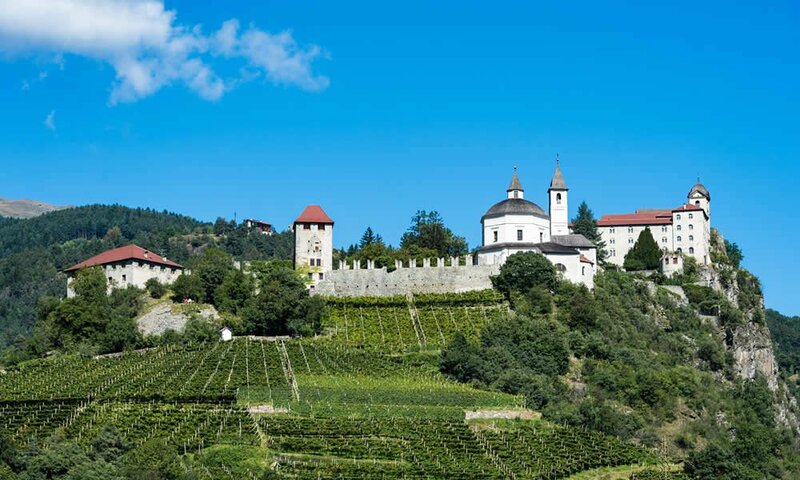 In one of the rustic farmhouses or in a country inn you will then taste one of the regional wines produced by local winegrowers according to local traditions. In the autumn you can enjoy fried chestnuts and warm yourself with a hot drink in the cold season. In winter, you benefit from the central location of the farm. There are a total of 30 ski resorts to choose from, especially the Grödner valley, the Rittnerhorn and the Seiser Alm are quickly reached. 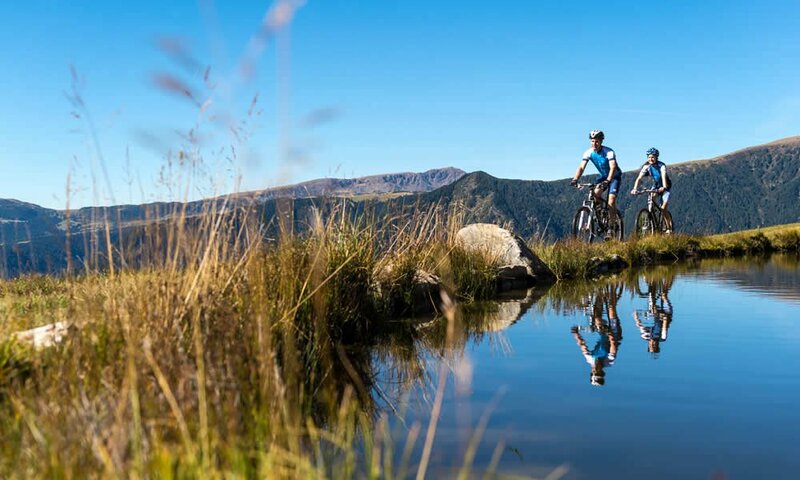 Due to its location in the Barbican municipality area, you can enjoy unforgettable hours during skiing, snowboarding, cross-country skiing and tobogganing during the holidays in the Eisack valley. Go on holidays in the Eisack valley means experiencing culture. 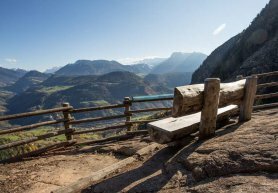 Whether the mighty Trostburg at Waidbruck, Kollmann, Saubach, Briol or Dreikirchen – here you will find a varied program. Each hamlet has its own cultural treasures, so that you can enjoy exciting excursions in all seasons. Kollmann is famous for the customs house built in 1483 by Duke Sigismund, standing in the Kuntnerweg. The Kuntnerweg is also known as Kaiserstaße and leads from Kollmann over Saubach and Ritten to Bolzan. On a hike through the region, you will also pass the Leaning Tower of Barbian, which is always worth a photo. Or you can walk to Dreikirchen, which attracts visitors from all over the world through the three gothic chapels. Particularly beautiful are the frescoes, which are inside and outside. The church in Saubach is known as the treasure of the Lower Eisack Valley and is characterized by the main altar of Hans Klocker / Michael Pacherschule. The very valuable altars are alarmed and the church locked – we will gladly provide you with the key and guide you through this unique treasure. 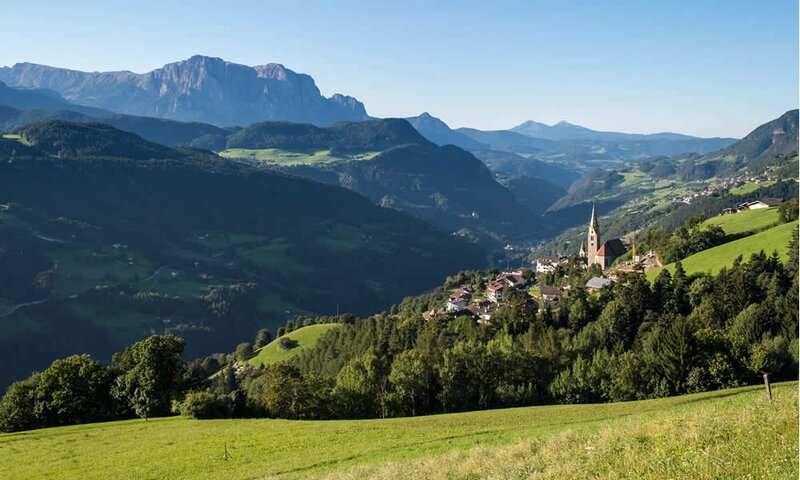 The nearby bishopric of Brixen also attracts many visitors every day. The diocesan museum is located in the Hofburg and includes, among other things, a crib exhibition. If you want, you can visit the Pharmacy Museum. In the case of a guided tour of the town, the path also passes by the “wild man”, which is near the Säbenertorgasse. The work of art is also known as a “three-headed man”, since his three heads show in different streets. 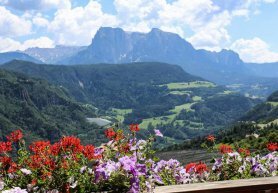 The Dolomites are part of the UNESCO World Heritage Site and are the perfect base for your holiday in Barbian. 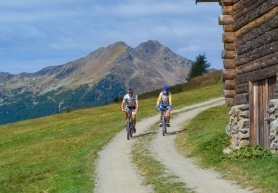 Discover the mountains as hikers, mountaineering, climbing or mountain biking. From the Gasserhof you can already catch a glimpse of the Schlern, the local mountain. 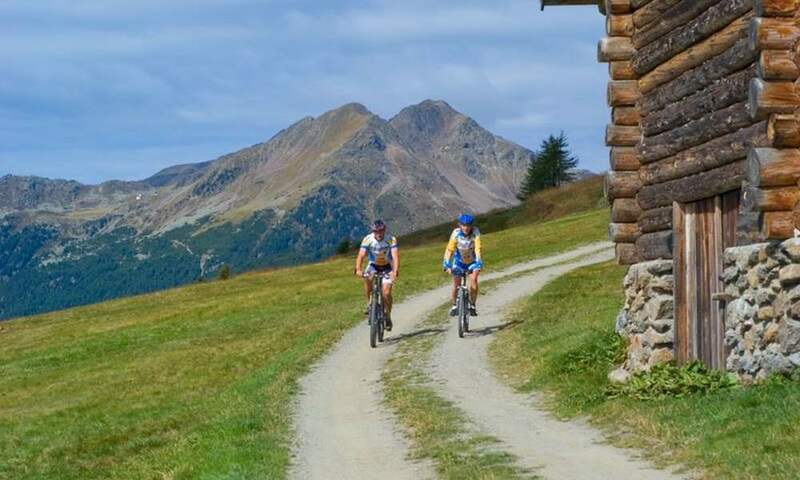 From here, you can explore the alpine pastures in the summer, make a stop for a small rest in the mountain inns or bath in one of the natural lakes. What kind of hiking opportunities do I have in Barbian? A very nice route leads from Saubach to Rittnerhorn. You pass the waterfalls and the high valleys of Barbian. 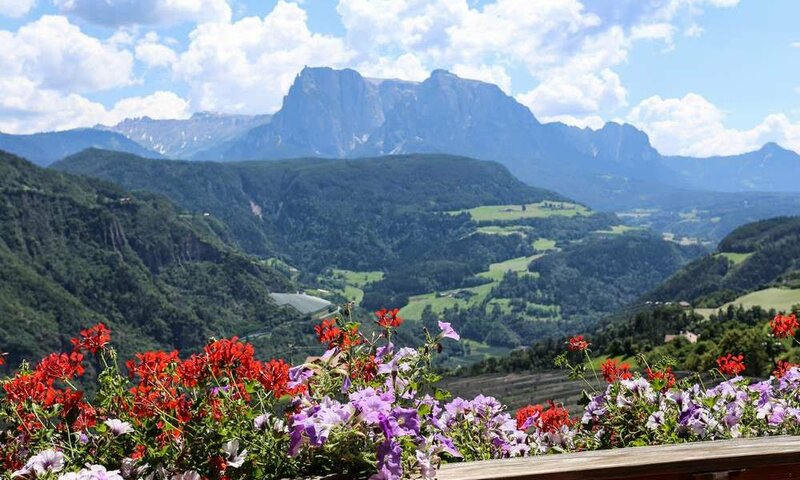 Finally you reach the Rittner Horn, where you can enjoy a breathtaking view over the Dolomites. 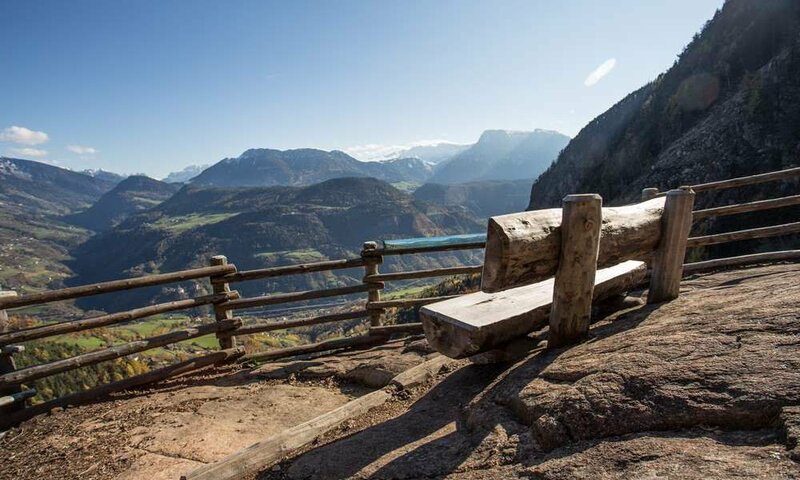 Enjoy the view to the Ötztaler Alps and the Stubai Alps. On the way you will arrive at the Feltuner Hütte or the Unterhornhaus.